Nvidia's Data Center Solutions are designed to accelerate both artificial intelligence and performance - delivering higher throughput - mixed and strong scale workloads. From scientific discoveries to artificial intelligence, modern data centers are key to solving some of the world’s most important challenges. The NVIDIA Volta accelerated computing platform gives these modern data centers the power to accelerate both artificial intelligence and high performance computing workloads. High Performance Computing (HPC) is a fundamental pillar of modern science. From predicting weather, to discovering drugs, to finding new energy sources, researchers use large computing systems to simulate and predict our world. AI extends traditional HPC by allowing researchers to analyze large volumes of data for rapid insights where simulation alone cannot fully predict the real world. 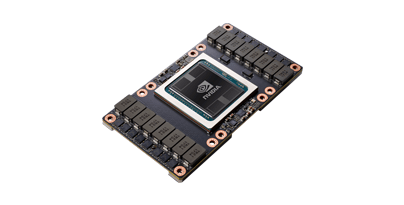 Based on the new NVIDIA Volta GV100 GPU and powered by ground-breaking technologies, Tesla V100 is engineered for the convergence of HPC and AI. It offers a platform for HPC systems to excel at both computational science for scientific simulation and data science for finding insights in data. The GV100 GPU includes 21.1 billion transistors with a die size of 815 mm2. It is fabricated on a new TSMC 12 nm FFN high performance manufacturing process customized for NVIDIA. 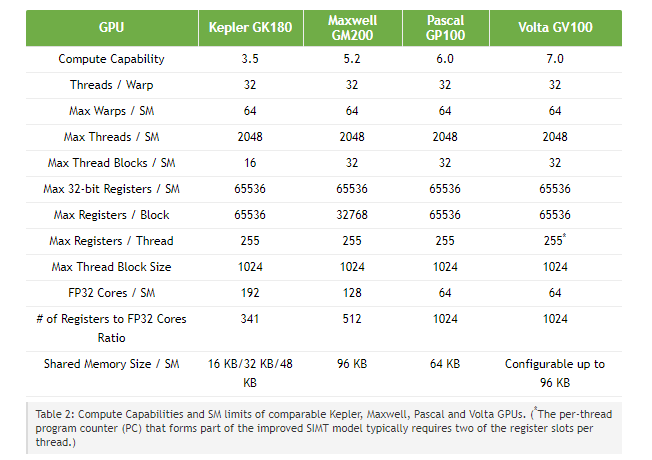 GV100 delivers considerably more compute performance, and adds many new features compared to its predecessor, the Pascal GP100 GPU and its architecture family. Further simplifying GPU programming and application porting, GV100 also improves GPU resource utilization. GV100 is an extremely power-efficient processor, delivering exceptional performance per watt. Figure 2 shows Tesla V100 performance for deep learning training and inference using the ResNet-50 deep neural network. 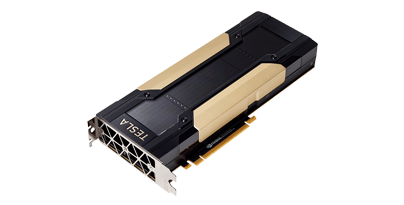 Is the world’s most advanced data center GPU ever built to accelerate AI, HPC, and graphics. 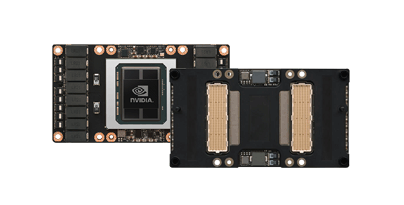 Powered by NVIDIA Volta™, the latest GPU architecture, Tesla V100 offers. breakthroughs. offers the performance of 100 CPUs in a single GPU—enabling data scientists, researchers, and engineers to tackle challenges that were once impossible. 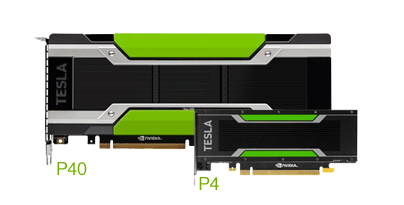 The newest addition to this family, Tesla P100 for PCIe enables a single node to replace half a rack of commodity CPU nodes by delivering lightning-fast performance in a broad range of HPC applications. 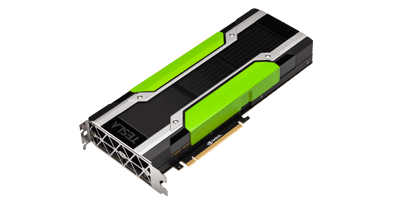 is the most advanced data center GPU ever created, built on the new NVIDIA Pascal™ architecture. enabling groundbreaking Artificial Intelligence (AI) and deep learning systems. give you the optimal solution—combining the highest throughput and lowest latency on deep learning inference workloads to power new AI-driven experiences.